Welcome to Fix it yourself AC ! This site was created because I myself am a licensed HVAC technician in the Tampa, FL area. I come across countless home owners who have been taken advantage of by other companies and their techs. 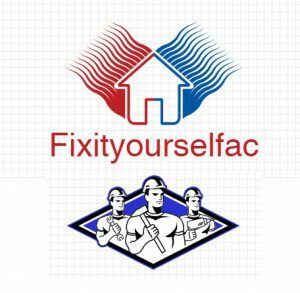 So I decided to put my knowledge and experience to good use and provide some helpful information and suggestions which are easy to implement whether you are a new homeowner or a seasoned veteran DIY er. I have also taken the time to produce some helpful in-depth tutorials showing how to do routine maintenance and simple repairs on your heating and cooling system. My expertise comes to you Free of charge. I welcome the opportunity to educate you on what products actually work so you can get them yourself without having to shell out money to repair companies! Maintenance is the key to ensure that your heating and cooling system is performing at it’s peak while still being energy efficient. The knowledge I share with this online community guarantees you will be a more well informed customer when your company tells you that you need to spend large amounts of money to fix your machine or to help it run more efficiently. I can show you how to do a few simple things yourself with no experience and just a little time and effort! Please explore the site and I promise you will learn something and most importantly SAVE MONEY!